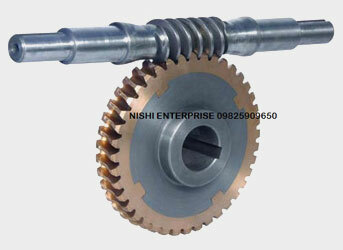 Nishi Enterprise is one of the best designers and manufacturers of top grade gear boxes that can be used for a wide range of applications. We regularly deal in different types of gear box products and associated spare parts that are used in wide range of industries. Our experts can also undertake and successfully handle repairing contracts for all kinds of gearboxes. Our industrial gearboxes and industrial gears are perfect for various types of industrial as well as machinery applications. 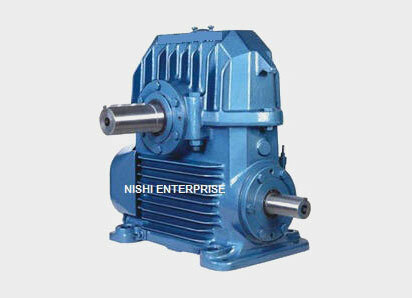 Here at Nishi Enterprise, we are also highly equipped to deal with design software as well as testing facilities for gears that are required extensively in power transmission. We have an extensive team of professionals who can work on designing and manufacturing different types of gearboxes and industrial gears based on current industrial standards and norms. Among the diverse range of products that we have to offer, some of the most notable ones are helical gearboxes, worm gearboxes, reel gearboxes, leveler or flattener gearboxes, spur gears, and bevel gears. Such products are used in numerous major sectors like chemical industry, steel industry, metal working industry, paper industry, cement industry, waste water treatment industry, mining industry, rubber industry and material handling industry. We offer helical gearbox products with power range between 0.8 KW and 8000KW. Our products are suitable for single, double, triple and quadruple stage functions. Our helical gearboxes come with a wide range of additional accessories like heat exchangers; cooling fans with covers; cooling coils; hold backs; shrink discs; temperature, pressure & flow sensors as well as lubricating pump systems. The helical gearboxes can be installed easily with temperature, pressure and flow indicators, shrink disc, hold backs, input and output couplings, auxiliary drives and motor with the motor mounting stools. Moreover, accessories like heat exchangers, fan covers and cooling coils can be installed to achieve enhanced thermal rating of gearbox. 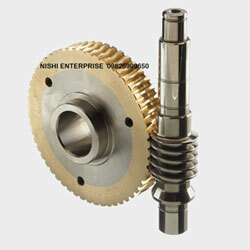 Nishi Enterprise is a proud designer of worm gearboxes having power ranges of up to around 200 HP. It functions as a horizontal, tube mill or inverted gearbox. Our units in the form of standard fan-cooled gearboxes are available in double and single reductions. Every unit serves as highly compact units that come with excellent reduction ratio and power transmission features. Being a company that has been producing gear boxes for many years, we can certainly find the best solutions for your industrial needs. So consult us today for the best gearboxes that money can buy.